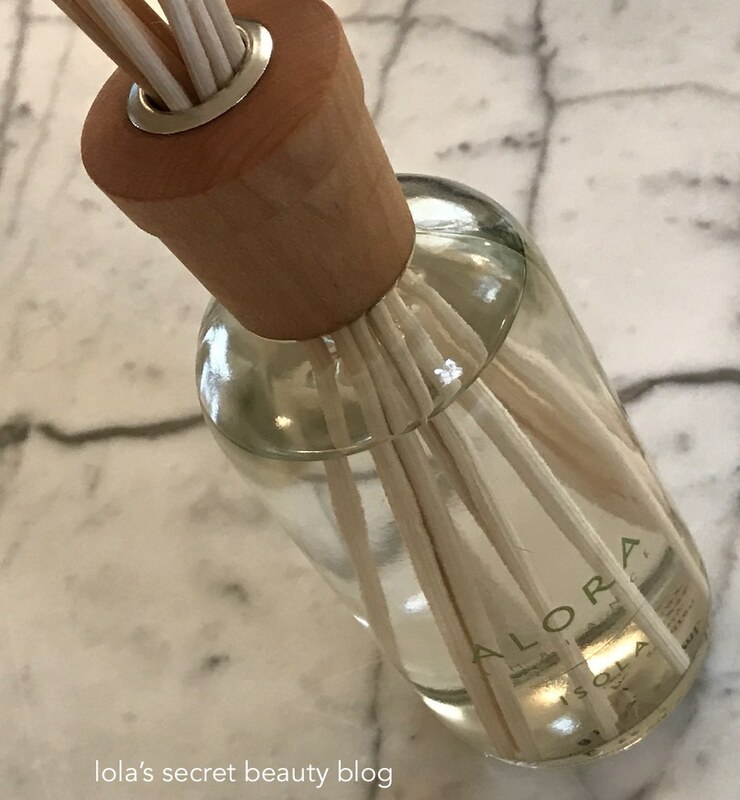 Years and years ago, before most of us had ever seen reed diffusers, my sister purchased a few of them from Alora Ambiance– which at that time was a brand-new company with a brilliant novel approach to home fragrances. 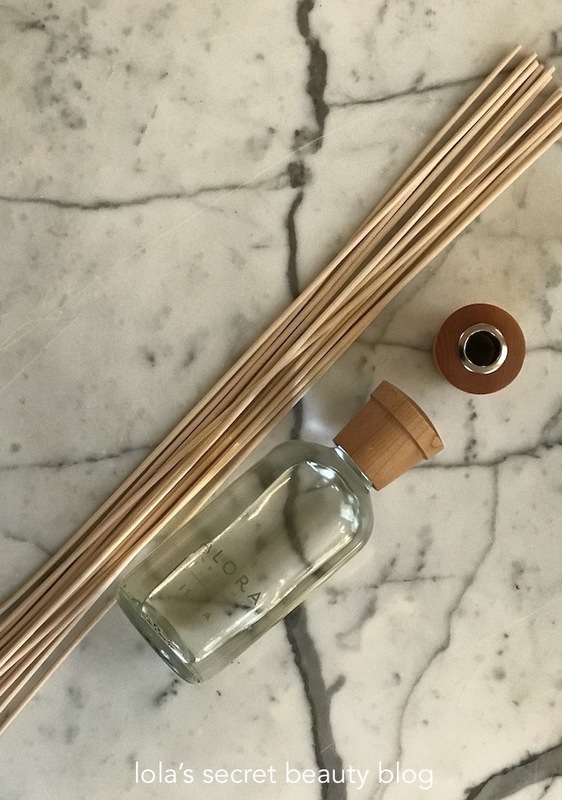 The moment I set eyes, and nose, on her reed diffusers I knew that I needed to fill my home with these beautiful creations from this ultra-luxe company. I did, and I have never looked back, and therefore when Alora Ambiance reached out to me, I was absolutely thrilled! Alora Ambiance Isola Reed Diffuser, which is their most popular fragrance for good reason, is a delectable floral mix of gardenia, tuberose and fig. It is a light and airy fragrance without being too sweet, and it isn't in the least bit pungent. The fragrance might be likened to the experience of walking through a fragrant garden during a warm summer breeze– it is at once ethereal and deeply pleasurable. I have mine in my master bathroom, and each time I open the door I am greeted by its delectable aroma. Alora Ambiance is the result of sisters Annie and Therese Gibbons' 15-year adventure living in Lake Como, Italy. After discovering the age-old Italian wicking method, they decided to design their own "diffuser", as it would come to be known, develop a trio of signature scents and introduce America to the concept they loved so much. Since launching Alora Ambiance in 2000, Annie and Therese have created a cottage industry of competitors yet still remain the category's beloved innovator. $60.00 for 8 oz. Reed Diffuser and $90.00 for 16 oz. 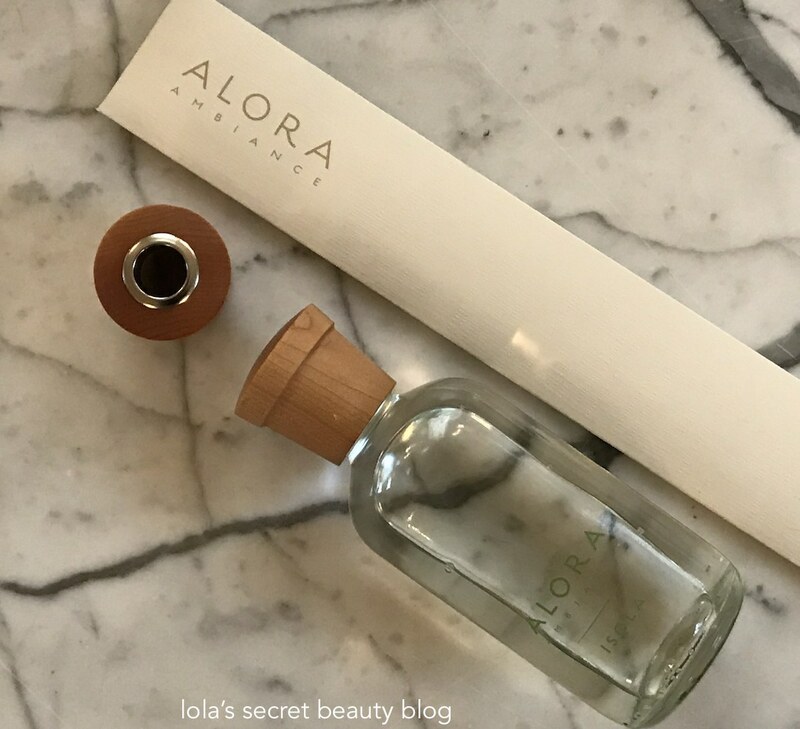 from Alora Ambiance and from the official Beautyhabit Amazon Store (Affiliate Links). I remember you posting about this brand. I love reed diffusers, and this one sounds so luxe! 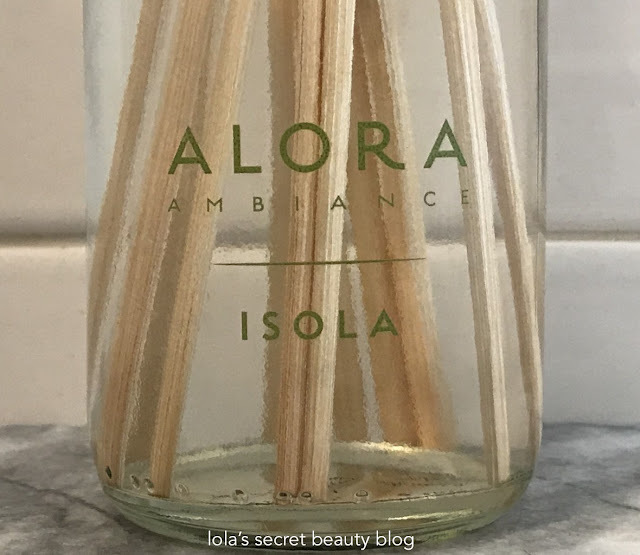 Yes, I reviewed on of their lovely candles, but I have loved their reed diffusers since they launched quite a few years ago! 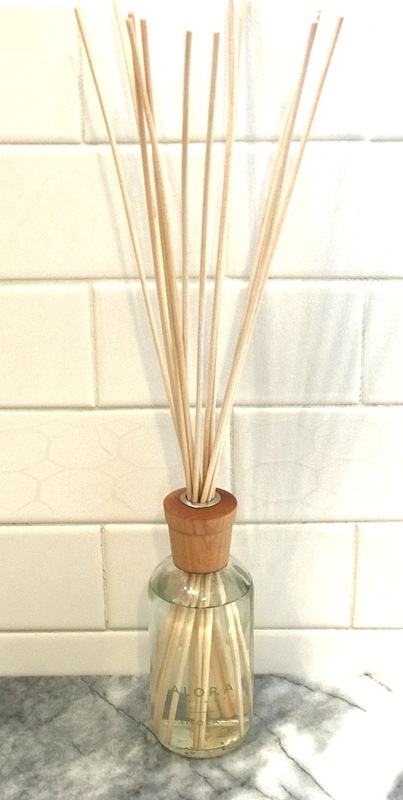 They make the most amazing reed diffusers, and their scents are extraordinary! That scent sounds gorgeous. I love reed diffusers but I have pulled back on them because my cat likes to investigate them and knock them over. Little creep. The scent is AMAZING! Yes, my cats are transfixed by them. I now limit them to rooms with closed doors so they don't get knocked down or chewed on! The first time I ever saw one of these was in a luxury subscription box that I bought. I loved the look of it but ended up giving it to a friend because of my nose! She loved it and I enjoyed seeing it in her guest bath. At least you have been able to find some essential oils that you can use in a diffuser that don't irritate your sensitive nose! I need that for my bathroom and living room! It's an amazing company and their diffusers are first rate! I highly recommend them. I think that they still sell them at Larchmont Beauty, next time you are in the area. Then you really might want to consider one from Alora Ambiance– they really are that good! I prefer reed diffusers to lamp/electric ones. There's something charmingly old-world and classic about them. I do too! 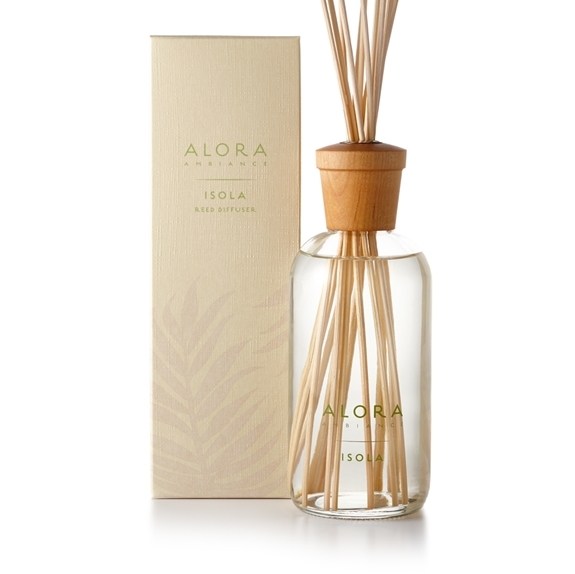 Given that you love reed diffusers, I highly recommend trying them from Alora Ambiance! That scent sounds like something I would totally love! Florals are my jam! This is a gorgeous floral, and I am fairly certain that you would really love its aroma!